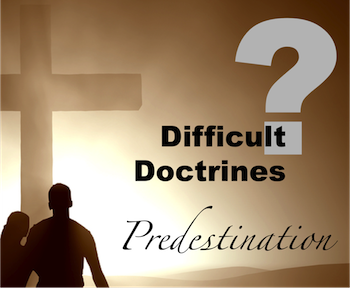 This is the world's definition of predestination, but how does the Bible define it? The word "predestined" appears 4 times in the New International Version of the Bible. Let's notice each. Romans 8:28-30 (NIV) "And we know that in all things God works for the good of those who love him, who [a] have been called according to his purpose. 29 For those God foreknew he also predestined to be conformed to the image of his Son, that he might be the firstborn among many brothers and sisters. 30 And those he predestined, he also called; those he called, he also justified; those he justified, he also glorified." Allow me to draw your attention to two things. First, please notice the footnote indicator [a] in the middle of verse 28. While this optional translation does not receive a lot of emphasis from the publisher, I do appreciate their honesty in including it. Please take note of what the scholars say could be a more accurate rendering of this Greek phrase - NIV Footnote: Romans 8:28 Or that in all things God works together with those who love him to bring about what is good." In other words, the opening context of this passage on predestination could actually be qualifying the predestined work of God by saying that in part He actually "works together with those who love him to bring about what is good." Given what you will discover in the rest of this study, I believe the footnote might very well be the best translation of Romans 8:28. The book, "Predestination, Confronting Reformed Theology" is available to you as a PDF (printable email). Please visit the "Books by Sonny" page. Cost: Donation of any size. Secondly, let me draw your attention to the word "called" as it appears twice in this passage. The word "called" is a summons. Unlike the word "forced," it implies option and a choice to respond. In keeping with the harmony of the whole counsel of God, please notice what Peter writes about being Divinely "called." 2 Peter 1:10 (NIV) "...make every effort to confirm your calling and election. For if you do these things, you will never stumble..."
The New King James renders the Greek words in this way, "...be even more diligent to make your call and election sure, for if you do these things you will never stumble..."
Please notice the need for us to "confirm" our "calling" (NIV). A confirmation demands that the word "calling" be seen as a summons not a forced condition. Furthermore, our "calling" is defined as an option because of the phrase "if you do these things" (NIV). The New King James version provides the same insight. The word "call" (NKJV) must be defined as a summons not a forced condition because of the phrases "be even more diligent," "make your call and election sure" and the optional "if you do these things" (NKJV). Application: The footnote and the harmony of Scripture confirms that the word predestination in Romans 8:28-30 should be understood as the goal of our soul and not the assignment. Ephesians 1:4-6, 11-12 is the second context in which we see the other two uses of the word "predestined." Ephesians 1:4-6, 11-12 (NIV) "For he chose us in him before the creation of the world to be holy and blameless in his sight. In love 5 he predestined us for adoption to sonship through Jesus Christ, in accordance with his pleasure and will- 6 to the praise of his glorious grace, which he has freely given us in the One he loves. 11 In him we were also chosen, having been predestined according to the plan of him who works out everything in conformity with the purpose of his will, 12 in order that we, who were the first to put our hope in Christ, might be for the praise of his glory." In light of what we learned from Romans 8:28-30, it is important that we also draw one other very important conclusion - predestination is all about being in Christ. Notice the phrases I have emphasized in the text above, "in him," "through Jesus Christ," "in the One," "In him," and "the first to put our hope in Christ" (NIV). From these phrases I think it is fair to say that whatever predestination is, it is found in Christ. Some would say that being in Christ is not an option but a pre-arranged assignment. Again, I refer you to the discussion of Romans 8:28-30 and 2 Peter 1:10. In addition, I would draw your attention to the phrase, "the first to put our hope in Christ" (Ephesians 1:12, NIV). Who puts our hope in Christ? We put our hope in Christ! Predestination is predicated upon us choosing "to put our hope in Christ" (NIV). In keeping with the harmony of the whole counsel of God, notice what the Holy Spirit says elsewhere about being in Christ. Romans 6:3, 11-12 (NIV) "Or don't you know that all of us who were baptized into Christ Jesus were baptized into his death? ... 11 In the same way, count yourselves dead to sin but alive to God in Christ Jesus. 12 Therefore do not let sin reign in your mortal body so that you obey its evil desires." Did you see that? Predestination, which Ephesians 1 tells us occurs in Christ, must be accessed through the free will choice to be "baptized into Christ" (Romans 6:3, NIV). Notice also that the saved condition is maintained by the free will choice to "not let sin reign in your mortal body" (Romans 6:12, NIV). Certainly this is a serious challenge to the foundation of Calvinism and the grace without responsibility doctrines it promotes. According to these four passages in which the word "predestined" is used, we can conclude that God has pre-set the goal of our soul but does not violate our free will in doing so. 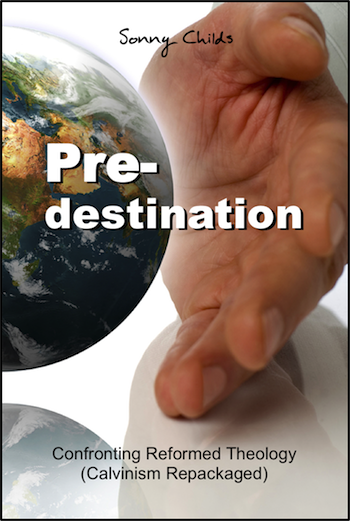 If you want a more detailed study of this subject, go to the five-part series on "Predestination." Difficult Doctrines: "Head Coverings, 1 Corinthians 11:1-15"
Back to Top of "Difficult Doctrines: Predestination, Romans 8 & Ephesians 1"